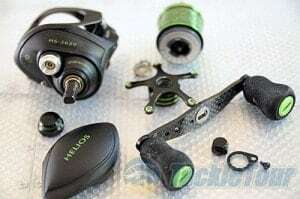 First of all, the okuma helios spinning reel, true to its name (helios=sun in Greek) is the ‘’sun’’ between many other reels from the spinning category. A true definition of a light spinning reel. The Taiwanese Okuma Company constructed a versatile reel ready to win any fight. Equally important is the fact that this spinning reel has many innovative features. Obviously, the company improved her spinning reels at a rapid pace in order to provide a smooth fishing experience. They started to manufacture reels a long time ago and they took to heart all modern fishing needs. The result? The okuma helios spinning reel of course. Overall, this article will discuss some of the most important features of the okuma spinning reel. Moreover, we will analyze each technological advancement in its design thoroughly. In the first place, there are four models. The HX-25, HX-30,HX-35 andHX-40 which all have a gear ratio 5.0:1 and the only difference is in the line capacity, the max drag and slightly in the weight. As you can see in the table below the HX-25 has 200/6 line capacity and max drag eight lbs. If you take a closer look at the table you can figure out that all models have a weight between 6.8oz and 8.4oz. Consequently, they are extremely lightweight like a feather so you do not have to put much effort while fishing. The okuma helios is a combination of durability and innovations coupled with a superior design and construction. It was designed particularly for ‘’spin’’ anglers because it offers great quality and you can take it anywhere you want. As you can see in the two previous models ( the Avenger and Cedros) the weight scale starts from 11oz. As a result Okuma improved not only the performance of the reel, but also the weight. Every serious angler knows the feeling of holding a heavy spinning rod and how difficult it is to manage long casting distance. A great value spinning reel should offer plenty of features combined with high-quality materials and of course long distance casts. Featuring this new C-40X carbon fiber construction technology, Okuma managed to design a really lightweight reel. Both frame and rotor have carbon fibers and you can see them clearly if you hold the reel under the sunlight. Additionally, this technology utilizes a blended graphite polymer. It is scientifically proven by Okuma engineers that the okuma helios reel is 25% lighter and 50% stronger than standard reels. Just to explain it better, you only have to think that there are interwoven long carbon fibers strongly connected to each other. Moreover, as far as the construction is concerned, the aluminum frames are able to withstand torque and high pressure. Traditional graphite frames are incapable to handle harsh fishing conditions because they are too heavy and sensitive. Overall, it is a weight placed in the rotor that provides balance and a wobble-free fishing experience. When you have a really big fish on the hook it can run very quickly line in order to escape. You have to fight with the fish very carefully if you want to land it. Consequently, heat builds up in the drag system and after a few times you have to replace the reel. Fortunately, the Okuma Company solved this problem with the brand new carbonite drag system. The material and the special okuma drag grease allow a great smooth drag performance and heat resistance. The gear system of the okuma helios spinning reel was nominated with the 12th Innovation Award in 2005. They use oscillation gears shaped like an Ellipsis. This revolutionary gear system provides durability and steadiness. If you open a reel you can see that the pinion and the drive gear are connected with teeth. 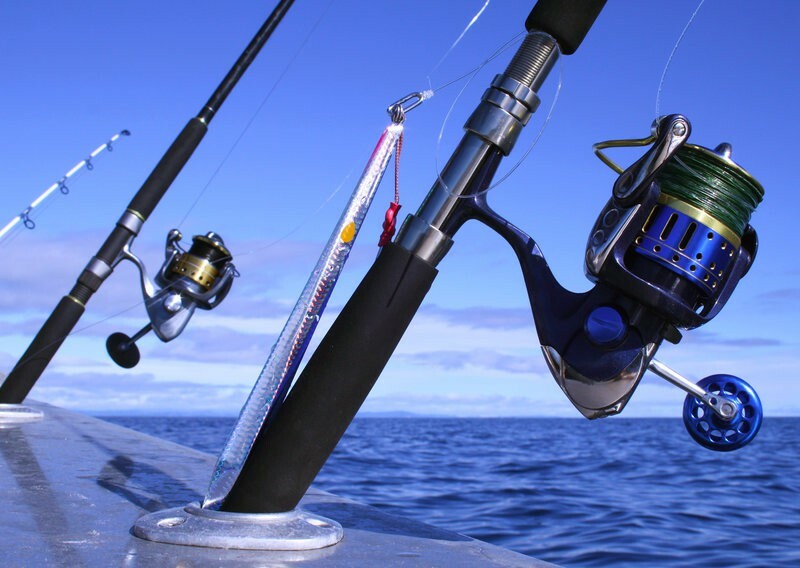 Consequently, after many fish strikes, heat and water corrosion can damage the reel. To overcome this, Okuma developed the reinforced elliptical gear system. The stainless steel ball bearings are salt water and rust corrosion resistant. Obviously, this material is known for its ability to protect the reel from the water and displace high temperature. True to its name this system blocks the water with a rubber gasket placed in the top. This is an extra protection for the reel in order to avoid water corrosion. Saltwater anglers will appreciate this feature. On the one hand, there is no doubt that this okuma reel is the true definition of a light spinning reel. It seems like Okuma made many improvements and managed to release a top quality reel. Compared to the previous models, it is the best. 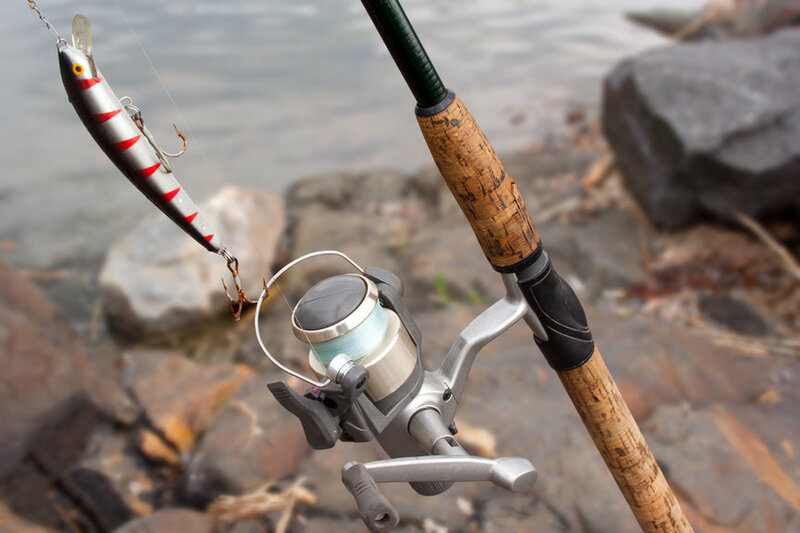 Unfortynately many anglers have the wrong conception of good spinning reels because they think that quality cannot be combined with lightweight materials. Heres comes Okuma to prove the opposite. 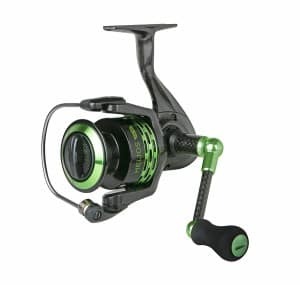 Overall, it has features at a normal price that make expensive reels jealous. Just to make things clear, all these systems do not guarantee that the reel is fully protected. You have to take care of your spinning reel. Furthermore, if you want to learn about the maintenance procedure, watch the following video. One of the only drawbacks is the low max drag. Okuma tried to overcome this drawback by using tough materials but this is not enough. For instance, the HX-25 Model which has 8 lbs. max drag, can easily handle an alsmost 20 lbs. pull( normal size fish). Finally, this professional grade reel seems to provide innovative features and can be characterized as a ”easy-for-the-wallet” reel. The okuma helios spinning reel will not disappoint you. To sum up, if you take all the features into consideration you can figure out that every saltwater angler will appreciate it.